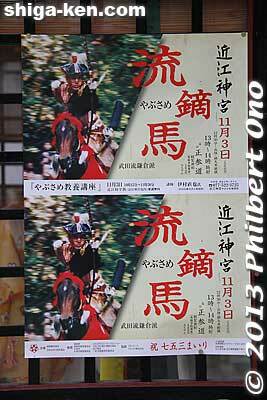 Yabusame horseback archery is held on the first Sunday in June from 12:30 pm. (Used to be held on Nov. 3.) I believe this is Shiga's only authentic yabusame.